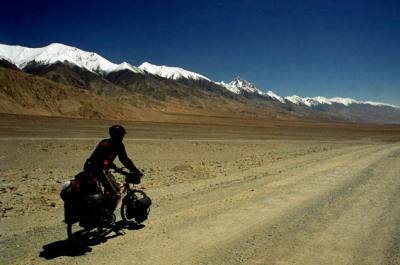 Most adventurous cycling tour in the roof of the world Tibet is spectacular features tour. Reach at most important part of Tibet with your cycle. Get touch Tibetan typical cultures in remote areas. Visit historical monuments, monasteries. Cross several highest passes and reach at highest land of the world. Explore the beautiful Tibetan plateau landscape with beautiful lakes and camping nearby. The stunning panoramic mountains are picturesque from highest passes. The most famous and adventures cycling tour in Tibet is Lhasa to Kathmandu cycling tour which contains several high passes of over 5,000 miters and reach up to Everest Base Camp.